We all put our trust, our faith in all kinds of things each day. But there is only one solid anchor - only one thing guaranteed to hold in every season and that is God! Psalm 18.2 - The Lord is my rock, my fortress and my deliverer; my God is my rock, in whom I take refuge, my shield and the horn of my salvation, my stronghold. If you know anything about climbing, then you will know that when you climb it's good to be safe. One of the ways to be safe is to use anchors - to use bits of equipment and people who will do important things so that you can stay safe. 1. You need to have the right kit. 2. The kit needs to be in good condition. 3. The kit needs to be used in the right way. If any if those things aren't right, there is a risk that things won't work out too well. If we use them right, we will be protected and kept safe. In the same way, we can use the things that God has given us - so that we are anchored and kept safe, just as Noah and his family and the animals were kept safe in the Ark because they obeyed God's instructions and did what he said. So you need to have the right kit. In the picture, we can see some climbing kit but actually it's not everything that you would need to go climbing. There are bits of kit missing - like a rope for starters!! Many people think they are OK in life. They may think that because they're a good person that that is enough in life. But the Bible says that to be right with God we need to believe in Jesus - he is ultimately the only way to God. Now we all have different journeys to get to God but the only way is through Jesus because only Jesus did what was needed to get to God. Other times people think they know everything and don't ask God or involve him in their life at all. That's when things start to go wrong! So get to know God and talk to him about everything in life and use all the kit that God gives you! There's is a blog called 'all the gear but no idea' and this can sum some people up. They may know about God, they may have a copy of a Bible. But they don't really know God and don't really know the Bible. 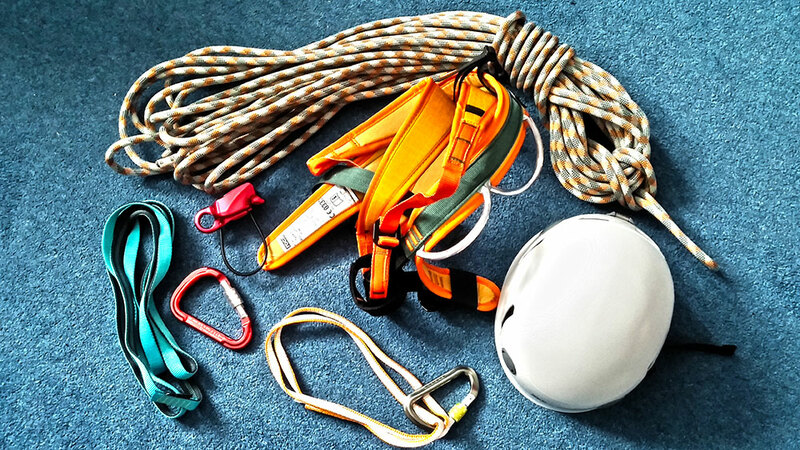 In order to use climbing gear properly, you have to learn and get to know how to do things. The same is true for God - we need to get to know him through the Bible, through other Christians, through worship, prayer and spending time with God and through books etc. 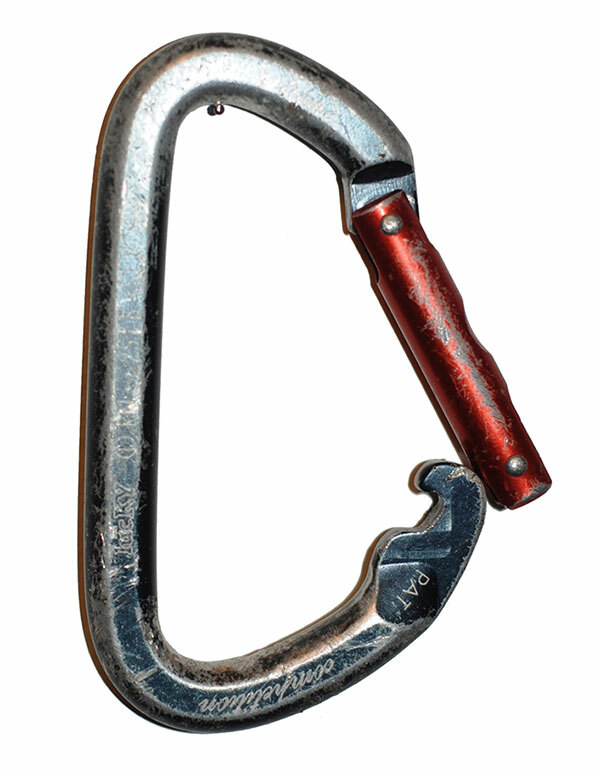 Our picture is of a broken carabiner (used for climbing and other things). But it can teach us something too! One of the reasons that many relationships break up is because the couple stop spending time with each other and stop doing things together. Gradually they drift apart. That's why spending time together is so important in any relationship. If you don't contact your mates and they don't contact you, you probably won't be friends very long! This is true as Christians. God is always with us and never forgets about us. He is always faithful, even when we forget about him. But if we don't spend time with God, we will start to drift away from God. If we don't know God, how can we know what he wants us to do! Jesus came to give us life in the best way, so if we don't spend time with God in prayer, in the Bible, with other Christians - then we won't get to live the very best life God has for us. It also makes us more likely to go wrong, do wrong things and hurt ourselves and others. God cares so much for us that he wants the best for us and for us not to mess up and hurt people. So choose to spend time with God - don't end up being a broken carabiner! 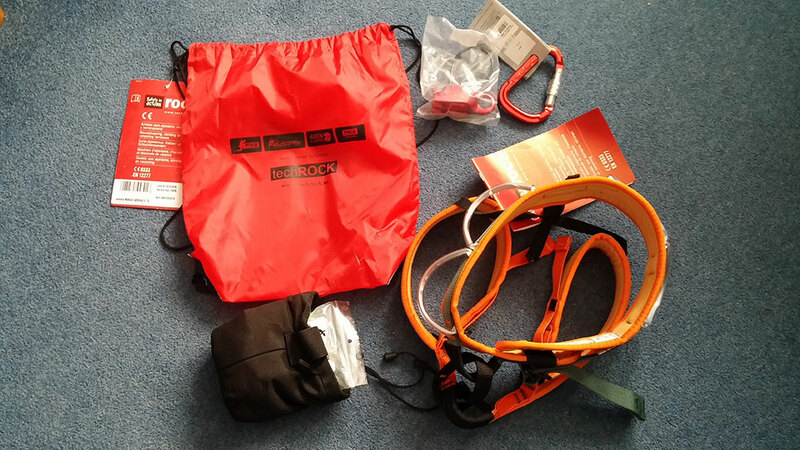 Below we have some, er, "top quality climbing gear"... Can you spot anything that may be wrong with it? 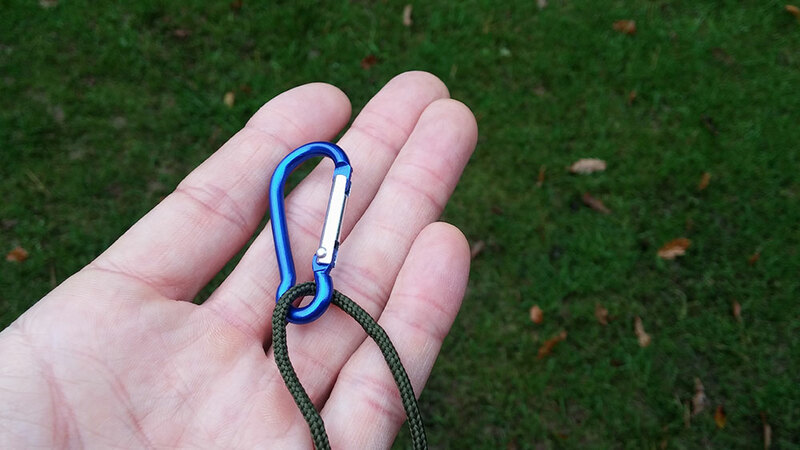 Yes, it's a little carabiner and a piece of cheap paracord (sort of like string). You can't see the other end, but I had it tied around my waist with a basic knot. Would you feel safe with that if you went climbing?! I wouldn't really like to trust my life to this equipment! Or what about this for an anchor point - a place with some equipment used to protect you on a climb.... Does this seem safe to anyone? 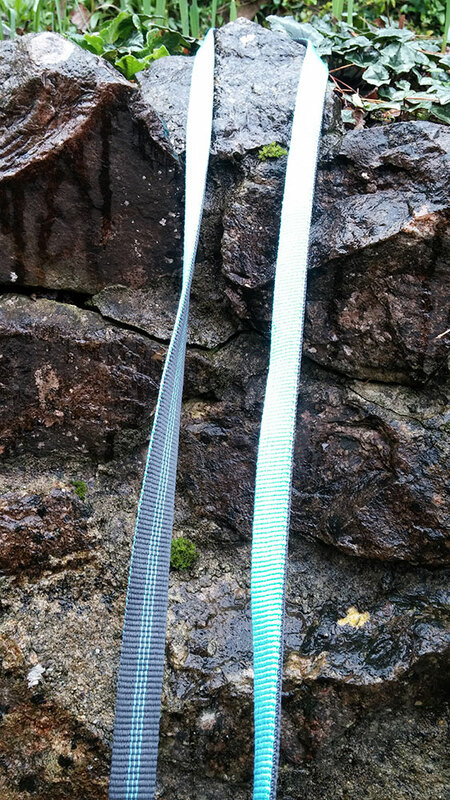 Again, this sling may slip off the rock at any point as it's just wrapped round the back of a small rock. Not safe in any way!! But I would trust my life to the equipment below! In this, we have a proper rope, with a proper knot, attached properly to a proper harness and with proper karabiners in good working order! 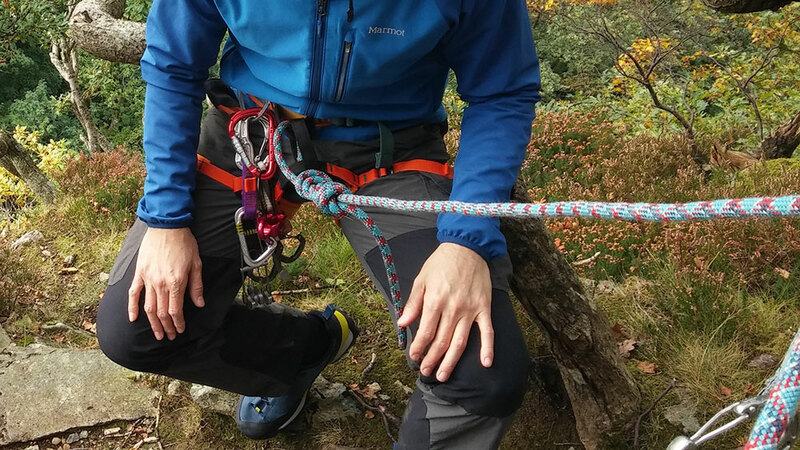 The rope is attached to a solid 'anchor point' - a strong tree. We can see that the rope and all the equipment is keeping the climber safe. And God gives us lots of equipment to keep us safe. He has given us the Bible, which is God's words in print. God tells us about who he is, what he has done, what's going to happen in the future. And God gives us lots of guidance, loads of promises and help. It's like having a manual for life - but we have to read it and put it into practice. So when God says it's good to do something or not good to do another thing, we should listen. He will help us because the Holy Spirit lives inside us, advising us all the time. So it's also good to listen to God in prayer - we pray, asking God, we thank God and we listen. And it's also good to talk to other wise Christians and ask for their support - they can often help us too! These are the kinds of bits of kit that God has given us - so use them and stay safe! If we use the bits of kit that God has given us and we use them in the right way, we can make use of God being our anchor. He's always there, always an anchor, he never changes. But we have to make use of the kit and use it in the right way! There are different ways to climb but we usually need another person (or more) to be with us on the climb and to be our help. Again, we can learn from this that as Christians, we need God. But we also need other people! In a study about people's happiness, they found that the thing that made people the most happy was having good friends around them. 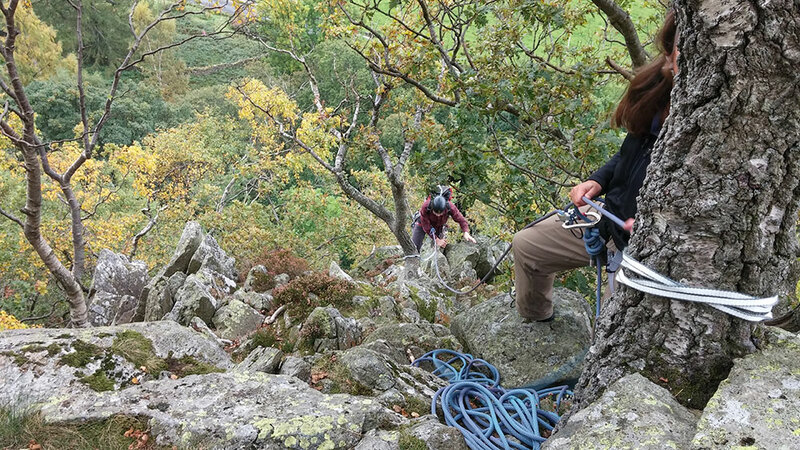 We need each other as Christians just as two climbers need each other - one to 'belay' and one to climb (and then they swap over). We can help each other in different ways at different times. But the Bible tells us not to forget meeting up with other Christians because we encourage each other, help each other, support each other and we can grow as Christians - climbing higher with God! One of the amazing things about God is that as we grow closer to him and obey him, God knows that he can trust us with more. As God trusts us with more, we can do more amazing things for God. But we can always do great things for God if we do things his way. You see, if we use God's "kit" then not only do we stay protected, we are also freed to do more incredible things that if we didn't. 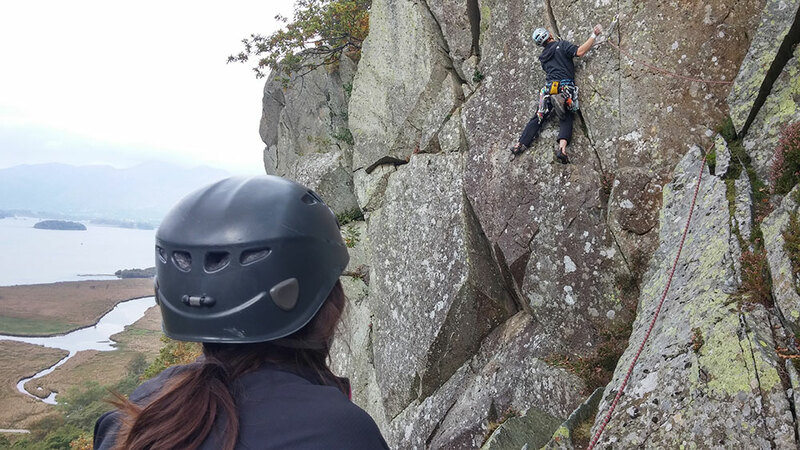 As climbers use protection (and as they practice and get more experience), it helps them climb more, climb higher, climb harder, climb further and climb more tricky routes! The same is true for God with us! In the picture below, the climbers are climbing a different and more difficult route than the one that I climbed. They have two people, who know what to do, who have the right gear and are using it in the right way. This means they can climb higher and more tricky routes than other climbers with less experience!